Crazy characters to observe in your backpacker hostel. Note: This article is to be read in the voice and tone of a nature documentary narrator. We’re thinking David Attenborough-like. A hostel lounge will not be a hostel lounge without a guy scratching a guitar. Sadly for us, he only knows three songs. He is usually the same guy that gets lucky later on… (See number 8). Some people get stuck backpacking, not that there is anything wrong with it. They are usually over 40 years old and have an agenda. They planned their day and nothing will stop them. Good on them! Pull you pants up already! (This guy at least has underwear on). The landscape? Meh… The Lord Of The Rings? Meh… This guy/girl is here for one thing and one thing only: to party hard! You can find them in these 9 Great Backpacker Bars in New Zealand. Who cares about money? Mommy and Daddy will pick up the bill. The flashpacker is here to tick off as much as possible on their bucket list. Often found in bigger cities, the overpacker is easy to find. Just follow the grunts of despair when they learn that the elevator is broken. 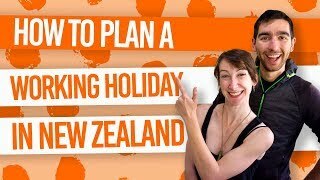 They clearly need to look at our The Ultimate Packing List for an Extended Trip in New Zealand. Every hostel has a bunch of backpackers that are part of the furniture. They have been here for more than three months and feel (and act) like they are right at home. 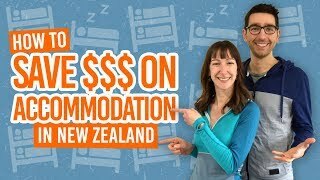 By the way, if you fancy yourself being this type of backpackers, then make sure to read What it’s Like to be a Long-Termer in a Hostel. “Yeah, Queenstown is a nice town but I’ve been in Dubai, Rio De Janeiro and Moscow and it was muuuuuuuch better.” Yeah right! They are on top of each other 24/7 and will not try to communicate with anyone. Self sufficient, they can only be approached by another couple. Usually two young girls giggling at everything. Despite having only 19 years of life experience, they judge every single person in the dorm room. A group of party animals will soon converse with them, resulting in a trip to the bar and a noisy return of loud “shushing”. Incredibly enthusiastic about their lifestyle choice, they can either be a really educational person to meet or a very pushy preacher. Often found in a darker corner of the hostel rolling a funny cigarette, the white guy with dreadlocks thinks that not washing his hair is cool. It was only cool in the Matrix… Actually, even then it wasn’t that cool. You’ve never seen them awake, despite living in the same hostel than them for two weeks. Many people take a gap year to find themselves or to try something new. But coming out of their shell that they lived in for 20 something years is not easy. It sometimes leads to awkward moments, but those are usually the most charming!